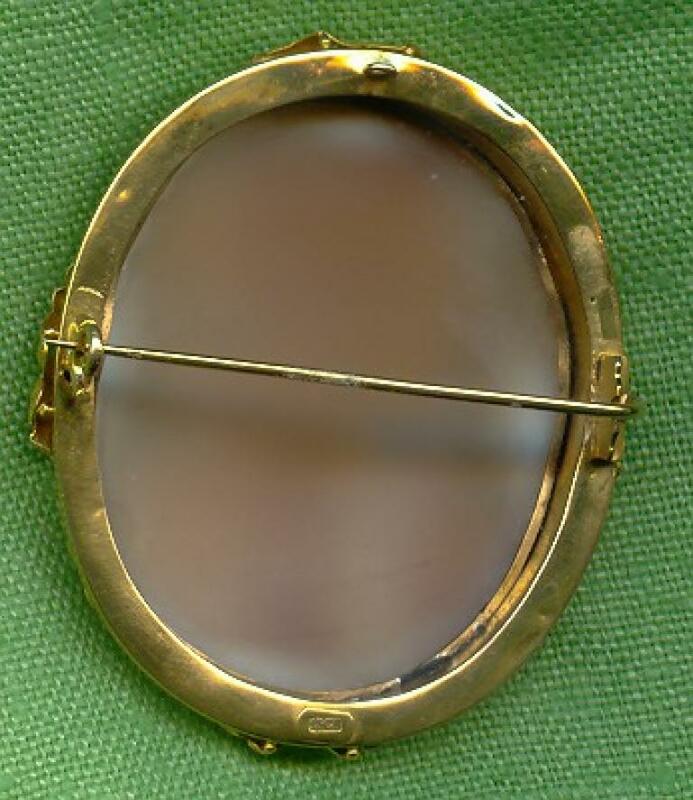 Frame: Frame is French, marked as 15 kt gold. 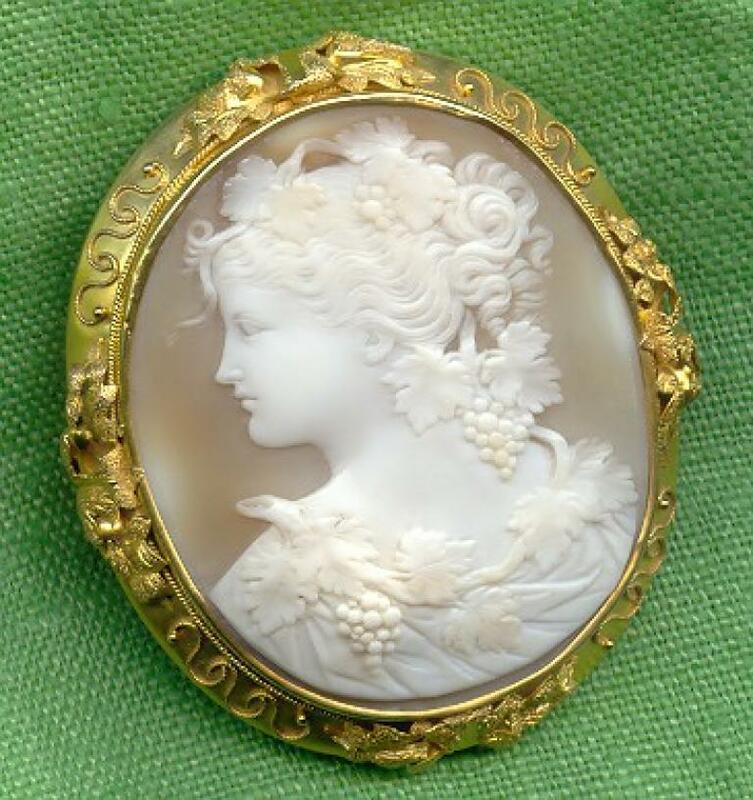 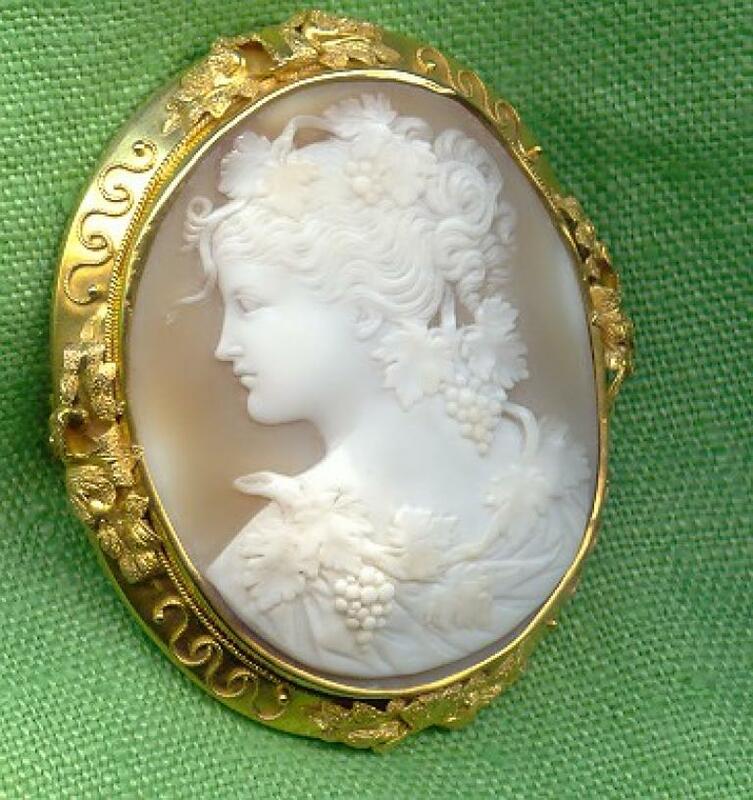 Size: over 2 3/8" by 2 "
This is a cameo of surpassing beauty. 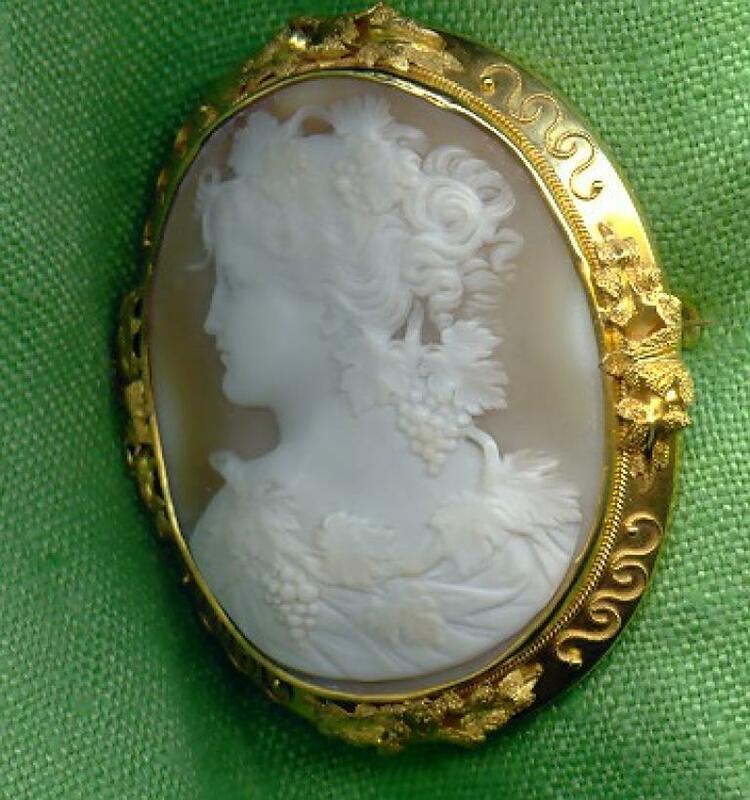 Museum Quality cameo depicting a Bacchante.This one is a very rare and unusual bacchante, because it is not depicted like the classic greek bacchantes, but like a painting from the lateItalian Renaissance. 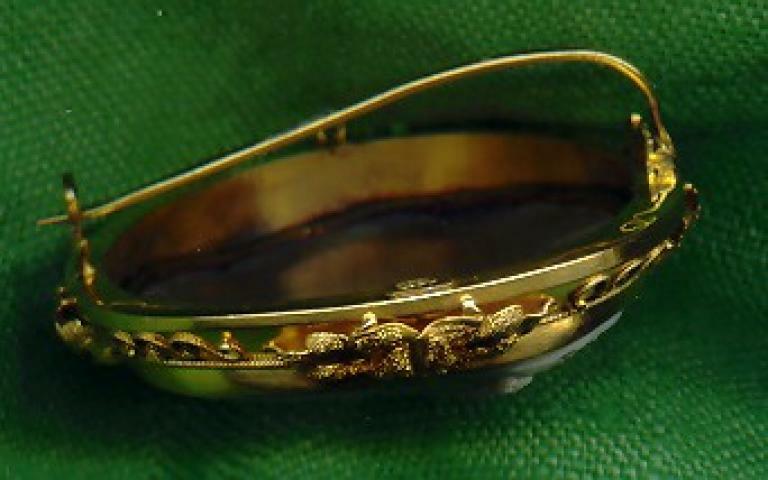 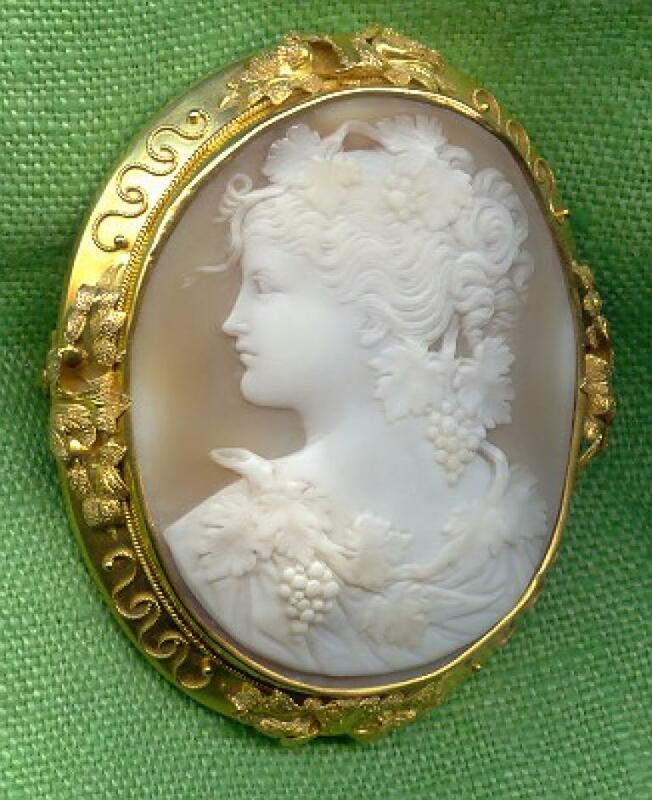 The charm, the grace and the delicacy of her facial features, the fine chisel of her hair, of the leaves and bunches of grapes, combined with a superb and elegantly embellished 15 kt gold frame, go to make of this cameo another real museum quality piece to collect and/or to wear for a personal pleasure for important occasions. 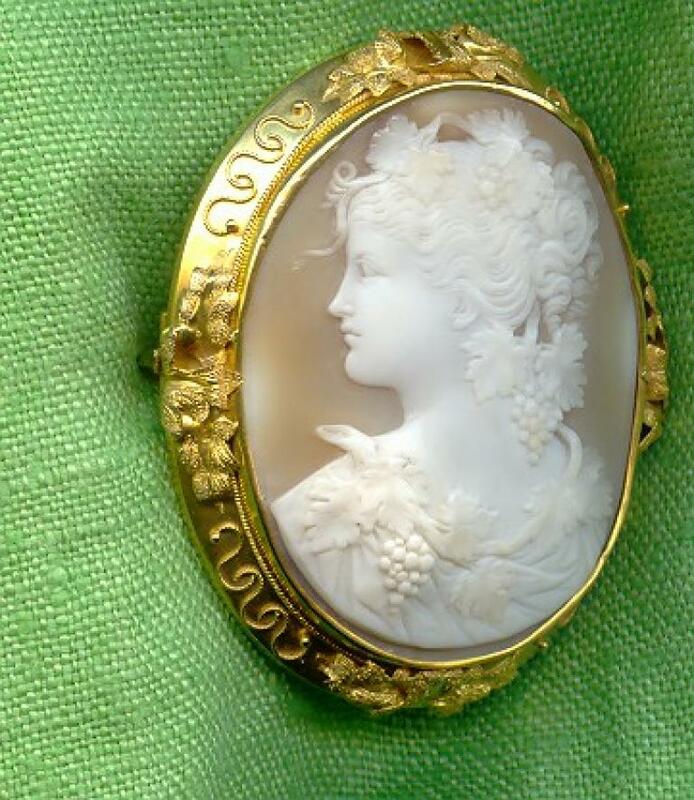 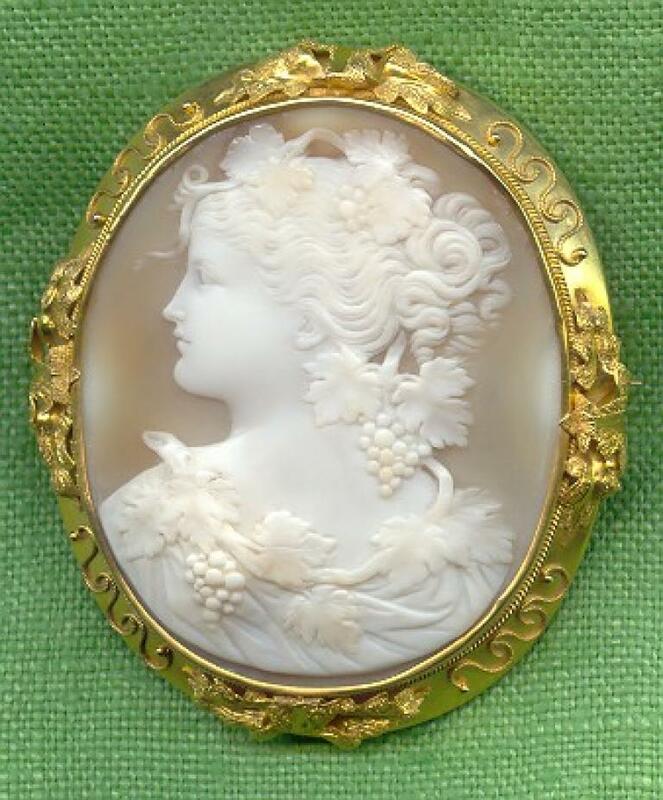 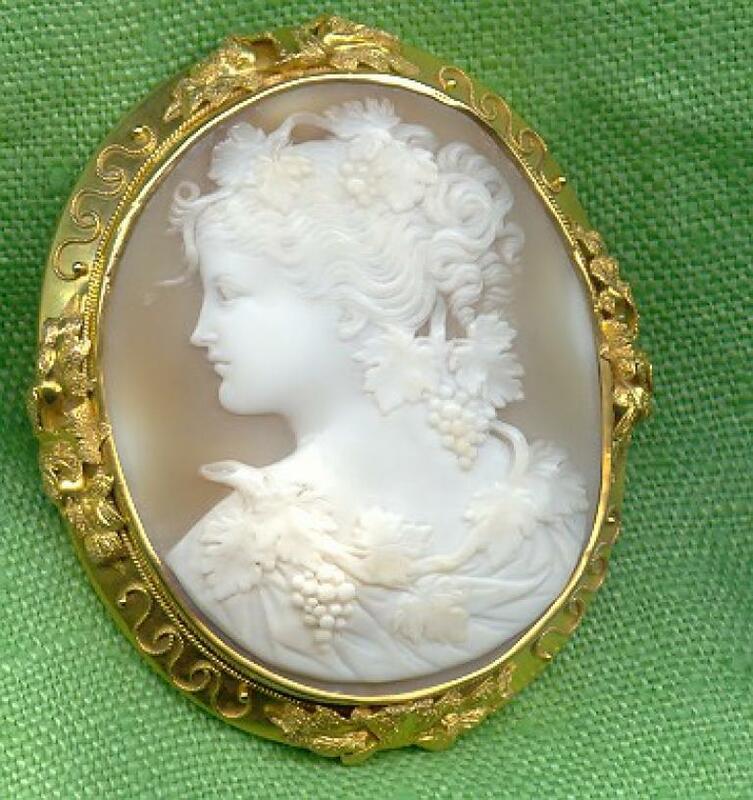 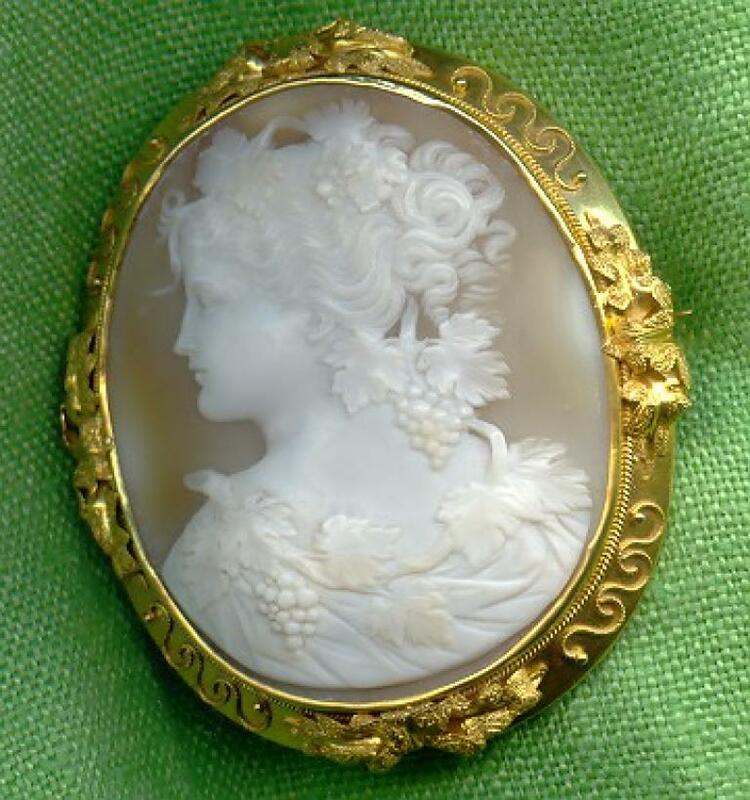 The shell is in perfect conditions with no stress lines or chips or cracks, the era of this cameo is Victorian, about 1860/1870, the size is over 2.5" by 2 1/4". 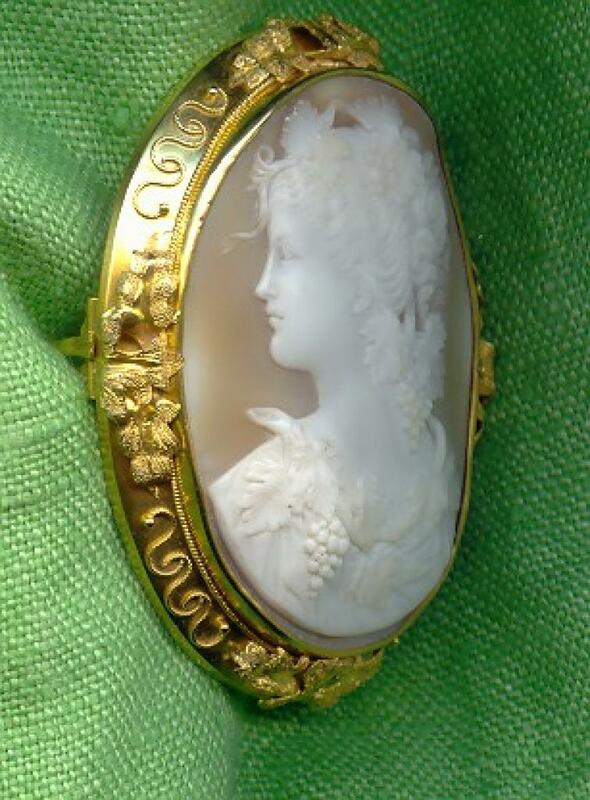 A very desiderable cameo for any collector. 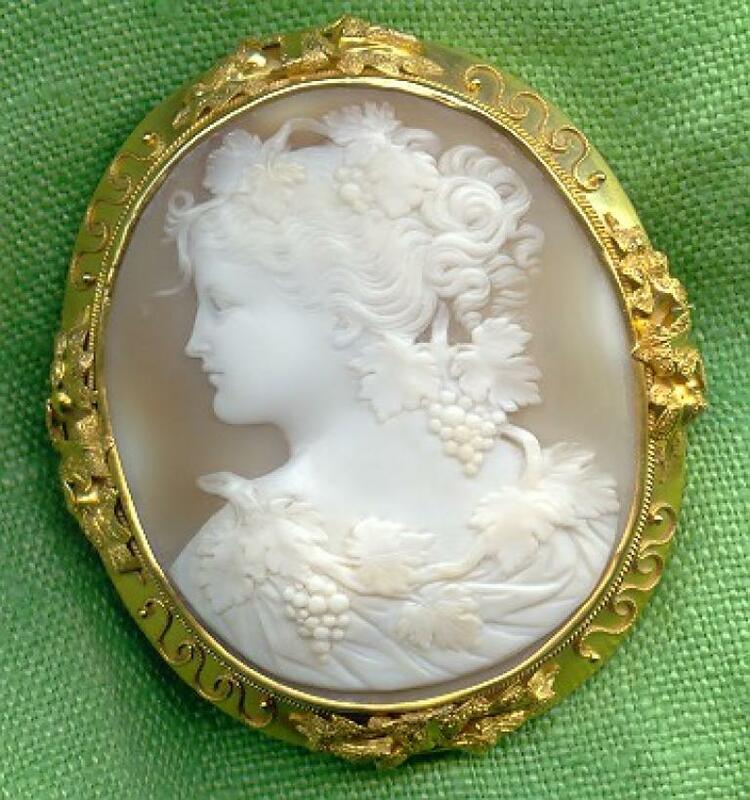 For further information on this rarest piece you can Email me following the links placed in every page, I'll be happy to answer to any question.